King Solomon asked God for wisdom and so can we! Americans are very independent people and most of us were raised to be that way from a very young age. We are taught to be self-reliant, full of self-esteem and self-confidence. Somewhere along the way our self-awareness makes us realize that we cannot do it our selves. Our own understanding leads us astray and the house of cards we’ve tried so carefully to build our self falls apart. All this time, God is waiting for us to come to Him for wisdom and guidance. He sees us fail and wants to share His wisdom with us, if only we’d ask. Yes, the God of the universe longs to have a relationship with YOU! When Solomon was a young man, his father David died and he became king and therefore responsible for all of the people of Israel. In 1 Kings 3:3-15 we learn that one night God came to him in a dream and told him to ask for whatever he wanted. Solomon, in humility, asked for the wisdom to govern God’s people because he knew he couldn’t do it alone. Although we probably won’t talk to God in a dream, we can also seek wisdom from God and talk to Him through prayer. James 1:5 says that we can ask our generous God for wisdom and it will be given to us. Just think about that. We can talk to the ultimate creator of the universe at any time, day or night, and He will hear us! What was Solomon’s attitude before God? Why was God pleased with Solomon’s request for wisdom? Where are you tempted to search for wisdom apart from God? When are you most tempted to lean on your own understanding (Proverbs 3:5-6) instead of God’? Where do you need wisdom right now in your life? Have you prayed about it? Stop and pray right now. Read Hebrews 4:16. Why can we approach the throne of grace with confidence? What did Christ do for us on the cross that makes this possible? One of the ways we can learn about God’s wisdom is through His Word. This month we are challenging all elementary kids to memorize all 66 books of the Bible. For a complete list of all of the books divided by category, take a look at the Project 66 handout. This week work on memorizing all of the prophetical books from the Old Testament as a family. Check out this fun rap song by North Point Kids that your kids are hearing on Sundays to help them memorize all 66 books! Set aside some one-on-one time with each of your kids. Talk to them about one area of their life that they need wisdom in and pray for them. Be sure to follow up with them and ask them about it later in the week. Tell them something they can be praying for you about. Take time to come together as a family and pray for all of the requests at least once during the week. Learn about asking God for wisdom from the wisest man who ever lived. Begin by reading a few proverbs each day with your kids at breakfast, on the way to school or at bed time. Talk about what they mean and how they apply to your life and your child’s life. Thank God always being willing to hear our prayers. Ask Him to help you when you’re tempted to lean on your own understanding instead of His. Pray for a specific area of your life that you need wisdom for this week. 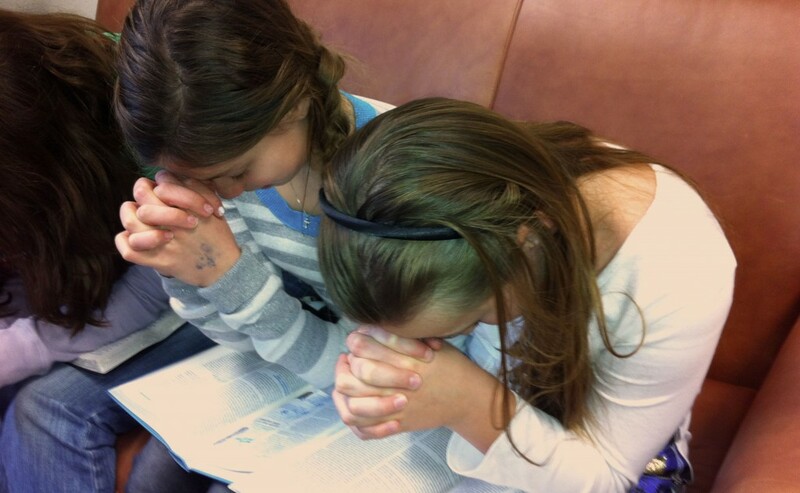 Let us know the most creative way you’ve shared prayer requests with your family. How do you encourage each other during the week? What does your family prayer time look like? The post King Solomon asked God for wisdom and so can we! appeared first on Watermark Community Church Blog. Watermark / Watermark Blog / King Solomon asked God for wisdom and so can we!